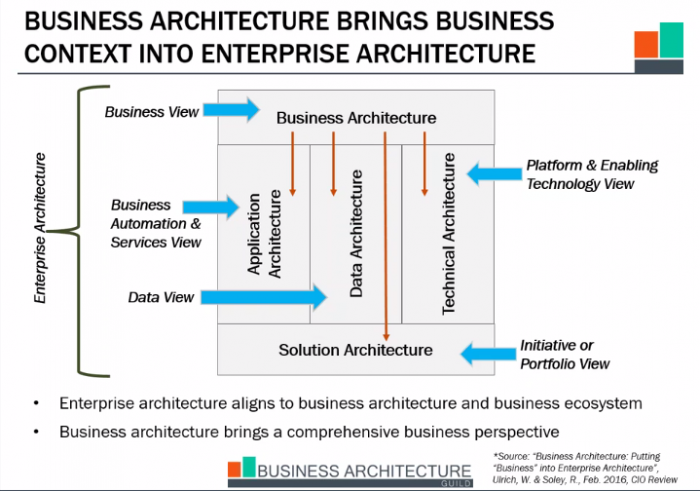 A special free on-demand webinar for the Business Architecture Guild, presented by Co-Founders Whynde Kuehn and William Ulrich, entitled, The Business Architecture Overview. This presentation — designed for executives, business architecture practitioners or anyone interested in the discipline — describes how business architecture moves strategy into actionable solutions. Overview topics include what business architecture is, how it is applied, and the value it delivers to enterprises. Ulrich and Kuehn delve into the business architecture framework,™ value proposition, strategy enablement, blueprint examples, business and IT architecture alignment, governance model, and the Business Architecture Maturity Model.™ Ten common business architecture myths are also covered during the one-hour long presentation.